Delta News & Review: Veterans PTSD Bias Unconscionable! 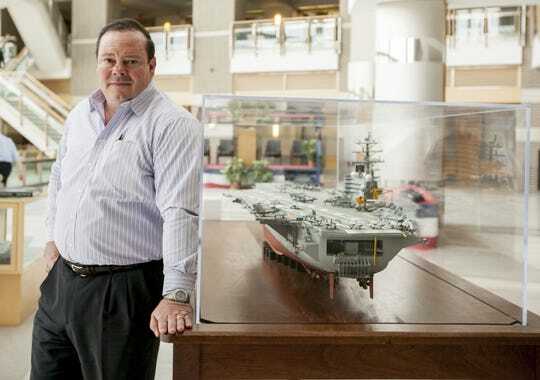 Timothy "Rhino" Paige, a 26-year Air Force veteran living with PTSD, stands near a model of the USS George H.W. Bush at Patuxent River (Md.) Naval Air Station. "The bias is even present in VA programs" said Steven Masone of Veterans Voice Of America (VVOA) "Many non-combat veterans who now work for the VA in programs are misinterpreting guidelines, discriminating against veterans by not allowing them to take leadership in employment and even volunteerism ." 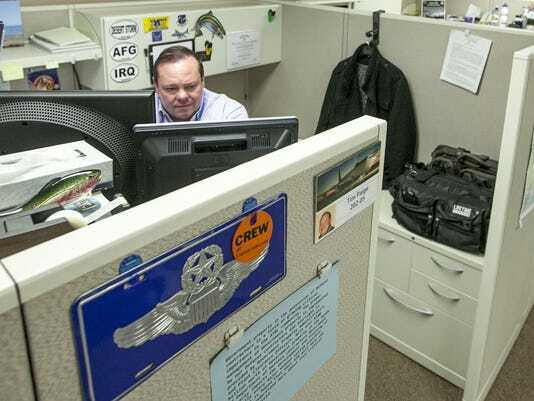 "As a former combat veteran, there is a frustration among us combat vets that desk Jockey condescending attitudes from non-combat employees and those who never served, has been embedded in the VA bureaucracy as well as it was in active service. And that is unacceptable!" he said. "Many VA Hospitals and programs have employees that disdain the military, some act as if they are owed something, while others are the stereotypical lazy bureaucrats who just don't care." Masone also is President of AMERICARE INTERNATIONAL, an advocacy rights organization for Americans with disabilities. Mr. Masone formed AMERICARE INTERNATIONAL while fighting for his daughters disability. The first legal case AMERICARE won was a landmark case related to second hand smoke and custody issues. Many other cases involving ADA (Americans With Disabilities Act) violations have been successfully won by AMERICARE... several are in litigation at this time. Steven Masone says, "AMERICARE will begin working with more Veterans cases soon."